As a new year opens, many people are inspired to make New Year’s resolutions, or at least to make positive plans for change. This year, we’ve decided to pledge to make some changes not for ourselves, but for our pets. Our list of New Year’s resolutions is a great place to start for anyone who owns and loves a pet and wants to make their pets’ lives easier. We came up with ten excellent resolutions, but you don’t have to commit to them all. Choosing even one or two of our pet-oriented resolutions will make your pets’ lives better in 2018 and beyond. My dog has been eating the same food since he suffered a bout of pancreatitis several years ago. 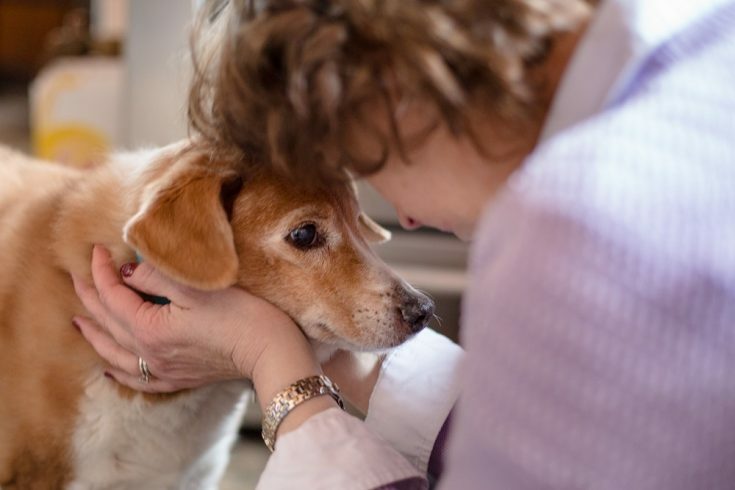 While it may still be easy on his digestive tract, it may not meet his full nutritional needs now that he’s a senior pet. It’s time for me to have a frank discussion with Soldier’s veterinarian to find out whether I should continue with the same food or switch to something that focuses on the needs of an older dog. In the past few years, Soldier’s weight has crept up on him (and me), so I will also need to reevaluate how many treats I’m giving him throughout the day. He isn’t nearly as active as he used to be due to arthritis, an enlarged heart and other problems. Which leads me to another of my New Year’s resolutions. I take vitamins every day to supplement my own diet, so I should certainly do the same for my pet. Just as Soldier’s diet needs have changed, so has his need for specific supplements. Glucosamine Chondroitin can help soothe his aching joints and bring down the inflammation that plagues his hips and knees. There are supplements that can also help with Soldier’s Cognitive Dysfunction Syndrome. I want to give my dog the best possible chance of enjoying his twilight years without the confusion and fear that are often a part of CDS. Soldier may not be able to walk as far as he used to, but he still looks forward to every outing. I’m as guilty as anyone of occasionally wanting to rush my pet through his walks, particularly when the temperatures dip into the single digits. But for Soldier, these outings are one of the most exciting aspects of his day. He wants to linger every few feet to savor the scents and sights along the way. So, I’m committing to longer walks with less rushing and to changing up the route periodically to give him some new territory to explore. This is one of the most important New Year’s resolutions we can make for any pet, but particularly older ones like my Soldier. He may be forgetting a few of his old tricks, but he is still capable of learning some new ones. Training should never be neglected; ideally, it’s an ongoing interaction between your pets and you that will continue to grow and challenge your pets’ intellect throughout their lives. Another way to challenge and entertain your pet is using puzzle toys and feeding mats that stimulate his interest while slowing down his eating. There are a lot of indoor games you can play even with older pets, including these great games found at Rescue Dogs 101. This may be the most important of my New Year’s resolutions for Soldier. While the vet always sees Soldier when he’s sick or has a problem like a bad tooth or an allergy flair-up, he rarely sees Soldier at his best. Experiencing Soldier at his best will give the veterinarian a true baseline to compare to when Soldier is ill or injured. Everyone’s New Year’s resolutions for pets should include proper dental care. Dental problems are the number one cause of health complications in pets. Why? Because so many pet owners don’t realize that their pets’ teeth should be brushed daily. As a result, plaque builds up and leads to gum disease. Although I do try to keep Soldier’s teeth clean, I must confess I don’t do it every day. I’m resolving to keep the brushing on track in the new year. 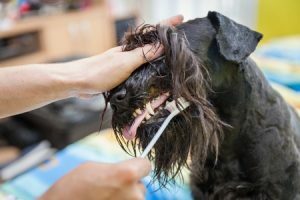 If you aren’t sure how to brush your dog’s or cat’s teeth, consult with your veterinarian. It’s also a good idea to have an annual dental exam so that any periodontal disease is discovered and treated early. Humans can meet and spend time with as many people as they’d like to. Not so for dogs – they rely on their owners to take them to dog parks, introduce them to other dogs, arrange play dates or enroll them in pet daycare. If you haven’t introduced your pet to a new playmate recently, now is the time. Broadening the social circle of your pets will give them more exercise, more mental stimulation and more companionship. Sometimes I travel and need to leave Soldier in someone else’s care. While I always take the time to go over the details of feeding and caring for Soldier, I also provide them with all the information they might need in the event of an emergency, including contact info for the veterinarian, my parents, my husband and others. I also include Soldier’s prescriptions, a list of allergies, vaccination records and more so that if he becomes ill, an emergency vet can treat him properly. 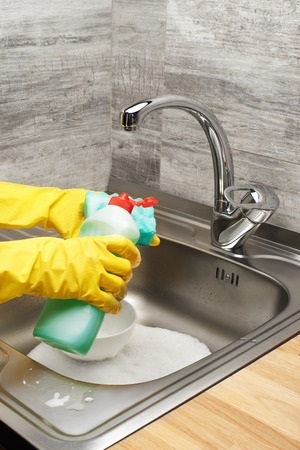 Cleaning your pets’ belongings is crucial to their health. Pets may be less selective about what they drink or eat out of (after all, lots of dogs love drinking out of the toilet! ), but as owners we need to protect them from dirt and germs that could affect their health. 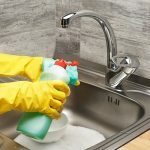 Even if a bowl looks clean after you rinse it, if you don’t clean it with hot, soapy water every few days it will become a breeding ground for all kinds of viruses and bacteria. The same goes for chew toys, bedding and stuffies. If something isn’t washable, replace it when it becomes worn or dirty. While I’ve always been able to rely on the expertise of our veterinarian, he is located a half-hour from our home. If Soldier becomes suddenly ill, is injured in an accident, falls into our swimming pool or has a cardiac event, he may not make it to an emergency vet. This year I’ll sign up and make sure I take some pet first aid courses and learn pet CPR. If tragedy strikes, I want to be prepared to save his life. What will your New Year’s resolutions be for you and your pets? These are great aspirations for 2018. I’ve been saying I need to make a medical file and keep it on my dropbox for emergencies. I need to get working on that one. Soldier is a senior dog, so I want anyone caring for him to have full access to his medical history. It could be life or death on a day I’m not there, and at age 19, his health could change quickly. I’m glad I gave you some ideas for Layla’s New Year! That’s the thing I really LOVED about the web-based medical records Jasmine’s vet keeps. Many hospitals have something similar but there is nothing on there. Jasmine’s vet’s records have everything – all lab work, all notes from all exams, all conversations we exchanged … then, anybody can access any information needed ANYWHERE, ANYTIME. Too bad this has not become a standard. Great tips! I love the idea of meeting new pets — my dog is a nervous wreck and has fear aggression but I said this year I was going to bring in a trainer to help me see if she can be a “dog friendly” dog and build her confidence! Love this whole list – great idea. Thank you so much, Jill! Soldier always enjoys the “meeet and greets” I set up for him, so I’m going to schedule them regularly this year (at least, that’s my plan!). I really need to get better at number 6 — my dog’s teeth need it. I also need to socialize Henrietta more often, but she isn’t a fan of big dogs. My dog’s teeth have suffered in the past due to me not being vigilant enough at cleaning his teeth regularly, so now I’m hyper-aware of brushing them often. These are all excellent tips for someone with a dog of any age. Pet First aid certification is offered online too but your own vet can give you a heads up on how to best respond to Soldier’s particular issues. I have started Gusto on raw meaty bones to keep his teeth clean. He chews on bully sticks too. Even as a puppy he gets supplements with his agility function in mind. Thankfully, he continues to go to conformation classes so that he can be social and learn how to behave in the show ring. Soldier has a bright future ahead of him in 2018 because you are taking proactive steps for his lifestyle as a senior dog. Thanks, Amelia! I know you always do what’s best for Gusto, too. I hope he’ll have a life as long and sweet as Soldier is having! I’m impressed with these incredibly thorough pet goals for 2018. One goal I set for myself is to spend one-on-one time with each Doodle in special outings at least three times each month for each pup. Irene, that’s a wonderful goal for anyone with more than one pet in the family! I didn’t realize that Soldier was 19! These are wonderful resolutions for pets and their people no matter how old they are. Yes, Soldier is holding up very well. He has some cysts and an enlarged heart, but that is under control with medication for now. He’s slower than he used to be, and a good walk now is two blocks instead of two miles, but he’s really a trooper! This was a good reminder for me to do things I usually do but more often! I try to let my dog have the lead on walks but like you said sometimes I just get to be in a hurry and want to rush the walk along, I’m going on the walk for her shouldn’t she be allowed to get joy out of it?! Exactly the way I see it, Karlee! I know when I take Soldier for a walk, he wants to sniff EVERYTHING! Some days I’m willing to wander from tree to tree with him; other days not so much! I’m hoping that in 2018 I’ll let him stop and smell the roses (and the rocks, and the trees, and the lamp posts, and the neighbor’s cats’ butts…) more often. Happy Walking! We need to get better at number 6, as my younger cats seem to have dental issues. And you have given me food for thought with number 10. Taking a pet first aid course is a very good idea. Warm wishes for a prosperous 2018! Warm wishes to the whole “kitten caboodle” of you, as well! Pet first aid will be something I want to sign up for as soon as possible this year. I’d hate to lose a pet because I don’t yet know animal CPR or simple wound care. What an amazing list! I had a few of Rooney specific resolutions last year and it felt great to know that we made some changes that improved his quality of life. Supplements are also on my mind this year. Rooney is 7.5 right now and I think it’s time to increase and improve his supplements so that I can be proactive about his joint health. Getting a head start on joint supplements is a wise decision. The right supplements can not only help his joints later, but help push back the development of joint problems now. I wish I had started Soldier on them earlier, but the vet didn’t suggest them until he started to have mobility issues. I should have been more proactive like you! These are great resolutions that can be acted on at any time during the year. I particularly like your resolution to be more patient on walks. That truly is seeing the walk from your dog’s perspective and recognizing how important it is to him. Such great advice! As an aside, I had never heard to brush dog’s teeth daily. I had always heard a couple times a week. I suppose perhaps the frequency would depend on the breed and diet more than anything. The vet suggested daily for Soldier because he has already had some teeth extracted and we want to save the ones he has left. He is 19 years old, so his teeth are wearing down and aren’t in the best shape simply because of age and use. It varies depending on a lot of factors. I can recommend a pet first aid course. They can save lives, and I agree with the supplements suggestion. I am giving Harvey green lipped mussel (NZ made) to help his joints become less still. (This is a challenge – everyones loves it but Harvey *sigh *). These are great goals. Goals we can make, achieve and surpass. We all need a goal to focus on. Happy New Year and may 2018 be a great year for you, and Solider and the blog. Marjorie, thank you for the kinds words and support! I would love to get a recommendation for a good pet first aid course. You can email me at thecontemporarypet@yahoo.com. Soldier had severe pancreatitis a few years ago and now eats a prescription kibble mixed with ground turkey and a bit of white rice. He loves it, and it definitely keeps flare-ups at bay. I’m so sorry Dolly gets pancreatitis regularly, I’m sure you hate it when she doesn’t feel well. I hope the canned food helps keep things at bay. These are all wonderful resolutions. I’m going to steal some of them! I’d really like to take a pet first aid course. And looking into supplements for my gang, especially Delilah and Radagast who would probably use some joint help, is something I need to do too. Thank you for this great list! What a wonderful set of pet-related resolutions to have for you and your beloved pup! The walking one is right on – that really requires the pet parent to ‘be in the moment’ and let go of the day’s anxieties, worries, deadlines, expectations, and just share the time with your critter. I love this reminder! I’m so glad you appreciate the reminder to take it slow and stop to smell…well, everything…along the way! I’ve found that even if I start out on a walk in a hurry, Soldier helps me to slow my pace and enjoy life’s little details like he does.